TH-165 is made from stainless steel (SUS) that has made it corrosion resistant. 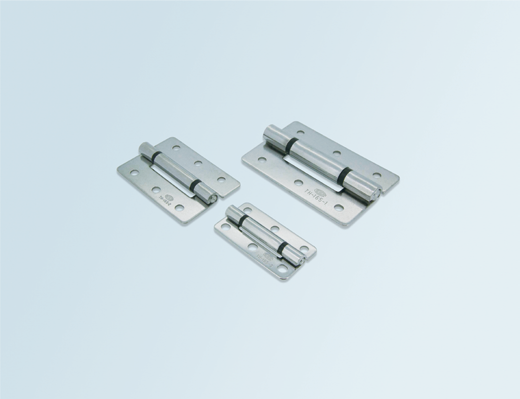 Because the hinge pin of this hinge is specially caulked, it can be used for outdoor machines, for example specially equipped vehicles, medical instruments, food machines and so on. If you are looking for an equivalent product for indoor use, TH-149 is your best choice. Specification of TH-149 is nearly equivalent to TH-165, and its price is cheaper. In addition, TH-149 can be installed not only horizontally but also vertically. For customers outside Japan, please send Email to support@tochigiya.co.jp for inquiries and quotations.